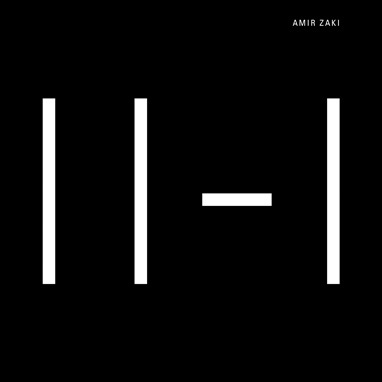 Amir Zaki asked us to design a cover for his book, Eleven Minus One. 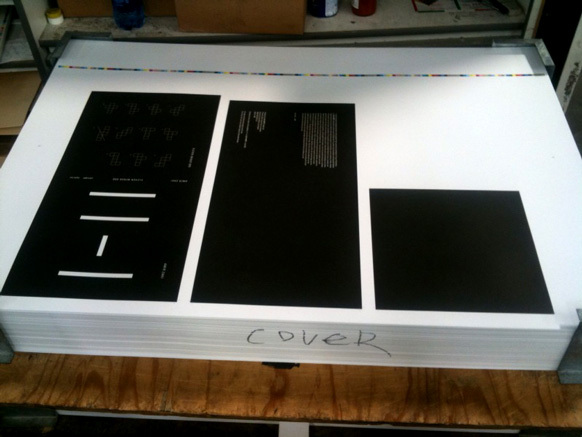 The limited edition large format fold-out book is "ten double-sided square pages. 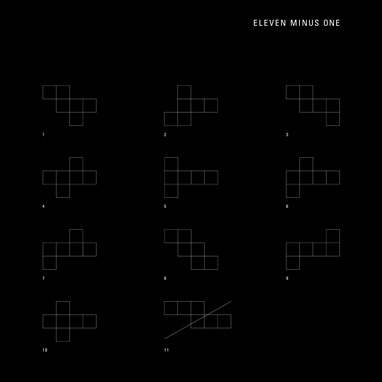 Each page spread unfolds into unique configurations of six squares that represent all sides of a cube. The images on each unfolded page spread depict 3D digital recreations of photographs from the series Equilibres by Swiss artist duo David Fischli and Peter Weiss." The back cover functions as a schematic for the unfolded interior pages. Co-published by Eighth Veil and LAXART. Click here to purchase and for more images of the book and accompanying installation.